Welcome to The Orange Bowl! From its idyllic location within the winelands this unique establishment offers tranquil, calming and a relaxed atmosphere. The Orange Bowl is delivers a distinctive, opulent bushveld feel to those seeking something different. The Orange Bowl lies just 45 minutes from Cape Town and is within easy reach of Cape Town International Airport, and many other world-class attractions in the city. While its location is without a doubt a major advantage, it is just the tip of the iceberg when it comes to a stay that few will forget. Choose from two beautifully equipped rooms. To view information about our rooms, click here. The Orange Bowl is a fully self-catering outfit established in Paarl Western Cape. Click here to find out more. View available dates, select your preferred room and book your stay online. Book now. The Orange Bowl is 45 minutes from Cape Town and is close to the International Airport. Get directions. 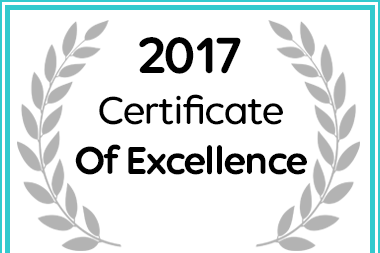 In recognition of exceptional service The Orange Bowl in Paarl has been awarded a Certificate of Excellence from Afristay.